You probably don’t need one in sunny Los Angeles, but that isn’t going to stop Honda from introducing its latest crossover there, the new Honda Passport. We know what you’re thinking, and no, this one isn’t a rebadged Isuzu like the Passport name would have you believe. The plan is for this SUV to slot in between the CR-V and Pilot. 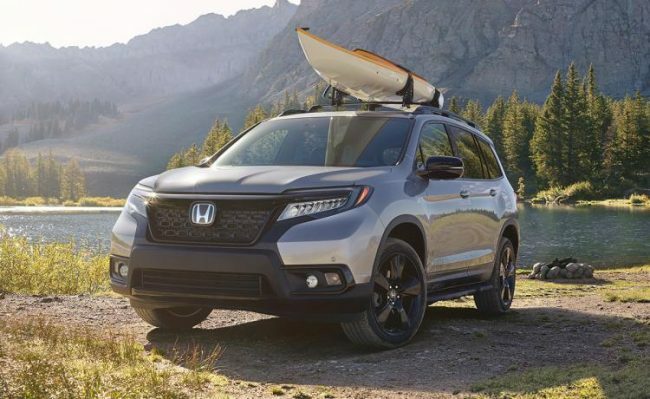 Like the Pilot, it has a unibody frame (Honda actually says the Passport and Pilot are pretty much the same underneath) and comes with Honda’s 3.5-liter V6 engine making 280 horsepower and 262 pound-feet of torque. This will be paired exclusively with Honda’s nine-speed automatic transmission. Front-wheel drive will be standard, but all-wheel drive with Honda’s i-VTM4 torque vectoring is available on all trims. This system is pulled from the Pilot and Ridgeline. What the new Passport resembles is a stubbier and sharper Pilot. There’s no doubt the two share a similar design language, but the Passport looks far more off-road oriented. A floating roof design, spoiler and black strip along the tailgate might be the most distinctive design choices on Honda’s latest SUV. A matte black grille and 20-inch wheels adorn all Passports as well. It all combines to make for what looks like a pretty normal SUV that doesn’t take many chances in styling. Honda claims it has more passenger space than any other vehicle in its class, and it has a pretty large underfloor storage spot, too. Everything is par for the course on the interior as far as tech goes. Four trim levels will be available at launch, with the top being Elite. The high-zoot Passport comes equipped like a luxury car, with plenty of add-ons such as heated/cooled front seats, a wireless phone charger and a blacked-out appearance package. We don’t have pricing, but the Passport is set to go on sale as a 2019 model early next year. Our best guess is that it slots just below the Pilot, but not a whole lot cheaper.